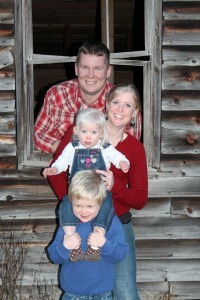 J&L Green Farm is operated by a husband and wife team, Jordan and Laura Green. 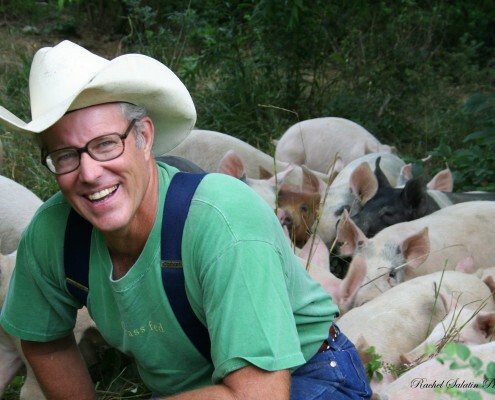 They raise forest-raised pork, grass-fed beef and lamb, pastured poultry, turkey, and pastured eggs. J&L Green Farm also sells other products, including spices and skincare products. 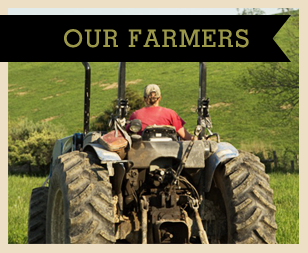 Jordan and Laura manage their own farm as well as multiple other farms in the Shenandoah Valley, healing the land by employing sustainable farming practices. 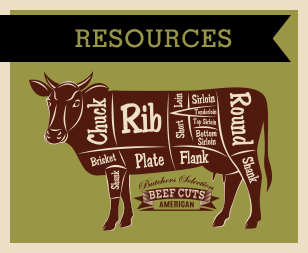 As specific set of agricultural principles governs the farm products that Jordan and Laura raise and sell. 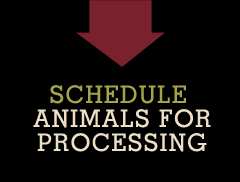 First, they are committed to raising animals in natural habitats and treating them humanely. Their animals are not given antibiotics, hormones, or steroids at sub-therapeutic levels for purposes of growth promotion. 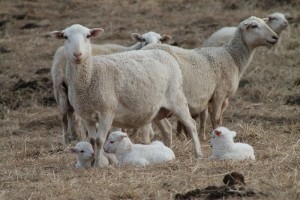 For animals that don’t live on pasture alone, feed is always a GMO-free ration. 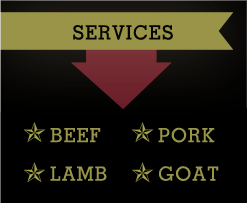 J&L Green Farm products receive praise for quality, color, and taste from their butchers, chefs, and customers. Jordan has been involved with agriculture in some way for most of his life. He spent his childhood in upstate New York where he helped grow the family’s garden and raise their egg-laying chickens. By the time he was a teenager, Jordan was managing a herd of dairy goats, raising pastured poultry, helping with his mother’s large gardens, and working in his father’s landscaping business. After an apprenticeship at Polyface Farms and five years of service in the U.S. Marine Corps, Jordan and Laura started their own farm in Edinburg, Virginia. Laura grew up in central Texas on her parents’ small farm. The family also had a honey distribution business. Before starting the farm with Jordan, Laura worked in the restaurant business, banking, and vacation property management. As a partner with Jordan in the current farm operation, Laura is in charge of the buying clubs, farmers markets, and wholesale purchases, while also caring for their three active, young children. The J&L Green Farm Store is well stocked with a full range of meats and eggs as well as other seasonal items. At the on-farm store, you will get the best prices and unique specials. 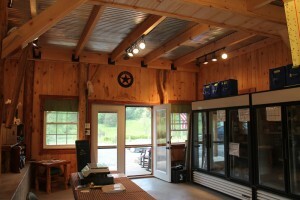 The farm store is located at 4010 Swover Creek Road in Edinburg, Virginia. Another way to purchase J&L Green Farm products is to visit the Harrisonburg Farmers Market at 228 Liberty Street on Saturdays from 8:00 a.m. until 1:00 p.m. You may not just come away from their booth with farm products: J&L Green Farm also makes tasty breakfast sandwiches featuring their own breakfast sausage, eggs, and cheddar cheese on an English muffin, or a gluten-free and meatless options as well. J&L Green Farm offers an easy way for customers to buy farm products without coming to the farm: you just join a Buying Club! This is a simple 1-2-3 process, which is outlined in detail on the J&L website. J&L Green Farm will consider adding new Buying Club locations if there is a host who will offer a pick-up location and enough interest to meet minimum order requirements. Check out their website for a list of prospective Buying Club locations. J&L Green sells their products at food co-ops, health food markets, restaurants and other businesses. If you are interested in purchasing wholesale from J&L, just go to the wholesale page on their website for more details.